The Bottom Line: Very dangerous avalanche conditions are expected for Wednesday. Heavy snowfall, rain, and strong wind is likely to cause large avalanches overnight into the morning. The storm snow will also stress a deeper weak layer. Avalanches may start at any elevation, and may entrain snow down to lower elevations. Avoid places where avalanches start, run, and stop. Stevens Pass appears to be the bullseye for this next system. We expect 1.5” of snow water equivalent by the morning of the Wednesday 23rd, and more during the day. If this materializes, we are likely to see a natural avalanche cycle at some point overnight or tomorrow morning. Warming temperatures with heavy precipitation rates, and strong winds may create widespread storm slab avalanches. 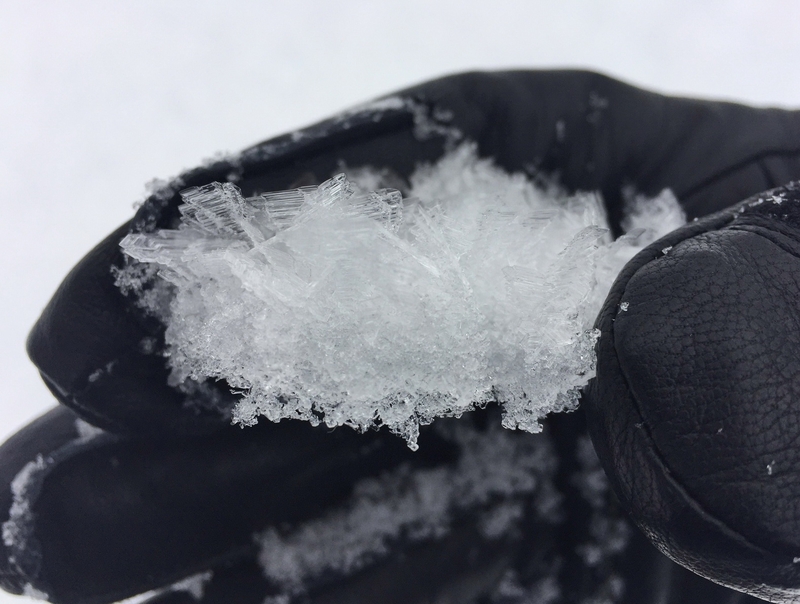 Around and east of Stevens Pass, there are additional concerns with a layer of buried surface hoar that may or may not get pushed over the edge in some places. In any case, Wednesday is not a great day to plan to enter avalanche terrain in this area. Be sure to check the observations page for a number of recent, excellent entries! Storms over the past week have brought a range of layers from rain crusts, to heavy moist snow, to stiff drifts, to light dry powder. Some storm days, like the 18-19th, saw reactive, but very short-lived avalanches caused by heavy precipitation and wind. Even the longer-lasting avalanche problems, wind slabs, haven't persisted form more than a few days. Where the recent snow is stressing underlying weak layers, more dangerous avalanche conditions have prevailed. A strong frontal system passed through the region Tuesday night, leaving post-frontal showers mainly for the west slopes of the Cascades and Mt. Hood area this morning. Areas along the west slopes of the Cascades/Mt. Hood picked up 6-12+ inches before a switch to rain at 4000 ft in the north, 5000-5500 ft in the central and south Washington Cascades and 6000 ft at Mt. Hood. Strong westerlies seen from Stevens Pass and south will come down later this morning, except at Mt. Hood where strong westerlies will linger through much of the day. Showers will diminish through this afternoon, becoming isolated in the evening. A strong upper level ridge will rebuild offshore Wednesday night and Thursday with dry conditions forecast tomorrow. Some low-level moisture/clouds will likely to be trapped along the west slopes of the Cascades Thursday with sunnier skies forecast along the east slopes of the Cascades. Freezing levels will be on the rise in general, but will make for a tricky forecast with warm air struggling to make inroads for the north and central Cascades. Higher freezing levels look like a better bet over the Olymipcs and Mt. Hood area. Heavy snow, warming temperatures, and strong winds overnight into Wednesday will form thick slabs. Winds will drift the new snow into very deep slabs at upper elevations. What is the new snow sitting on? Is there strong over weak? Is the new snow cracking, or do you see recent avalanches? Tomorrow is a good day to avoid slopes steep enough to avalanche, including small gully like features that could increase your consequences of even a small slide. Beware of the large avalanche paths in the area as well, and don’t get up underneath large slopes. Dangerous persistent slabs may become much more reactive with the heavy new load of precipitation and wind drifted snow. Avoid terrain where avalanches could start, run, or stop. There is a lot of uncertainty about exactly where you can trigger persistent slab avalanches, as this depends on the distribution of the weak layer. As of the 22nd, a layer of surface hoar that was buried on January 17th was about 2 feet down from the surface. By the 23rd this layer could be well over 3 feet deep. You're most likely to find it in wind-sheltered, shaded, and open terrain, possibly up to ridges, and east of the Cascade Crest. Observers have reported signs of instability on this layer at Grace Lakes, Yodelin, Lichtenberg Mountain, Smithbrook, and Jove Peak areas. Small and large snowpack test can help you identify this weak layer and gather information. However, lack of information in a single pit isn't enough conclusive data to make good decisions off.